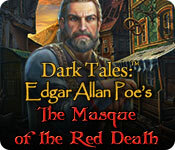 Dark Tales: Edgar Allan Poe's The Masque of the Red Death is another exciting addition to the Dark Tales franchise that examines the lines of right and wrong and forces you to decide which side the scales will fall in this murder mystery. Several town officials have already been claimed by the man in the red mask, but is he really the villain or is he the town's masked crusader dealing the iron hand of justice to corrupt men who have abused their positions of power? 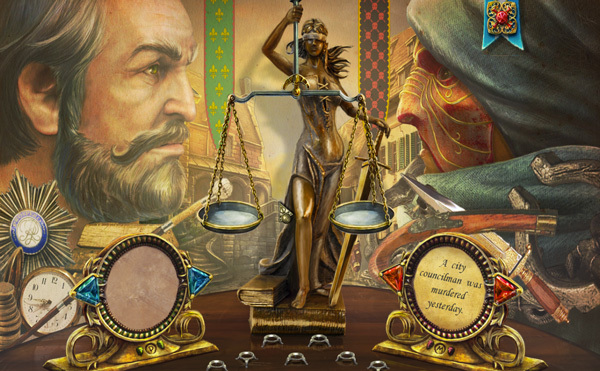 Find out in this stunning hidden object adventure game! 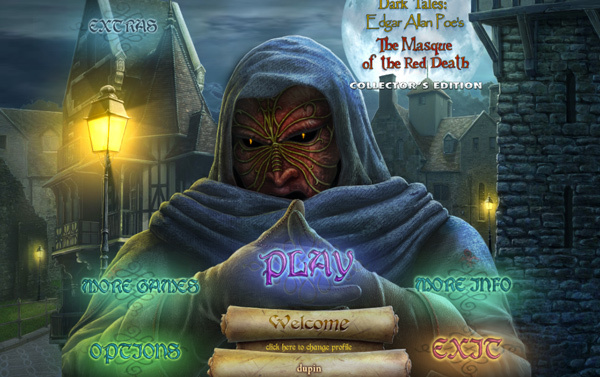 Dark Tales: Edgar Allan Poe's The Masque of the Red Death incorporates beautiful artwork, interaction with some interesting characters, hidden object scenes, challenging puzzles, and a curious mystery that's waiting to be solved. In addition to the gorgeous artwork, Dark Tales: Edgar Allan Poe's The Masque of the Red Death is filled with motion picture action and excitement. Often, you are just behind the murderer wearing the red masque, and you just miss catching him. I especially liked the realistic facial movements of the characters with whom you get to interact with. Each character has his or her own voice, complete with intonation and expression. Really well done. Anytime you wish, you may return to your office to go over clues and look at pictures that you take as you play. Your screen comes complete with an old-fashioned camera, and you may take any picture you like and save them in the photo album in your office. This makes for an especially individualized gaming experience, which I appreciate. Instead of having to go through each step per the game, the player gets to decide what to explore next. The map in your office indicates places you have been and may return to, if you so desire. There are empty trophy cases decorating the walls of your office as well. 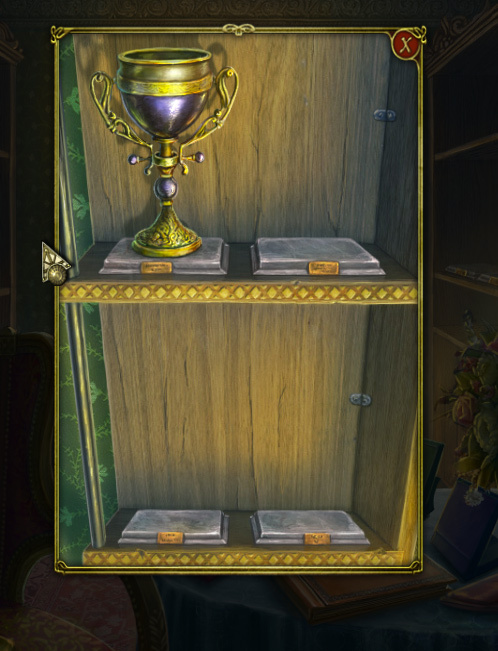 You may choose which trophies you wish to earn, and you may earn all of them if you try. See, here is my first trophy! There is a stray cat in town that you may adopt, but you have to figure out how to get it to come to you, first. I suggest doing so, as the cat is sitting on something quite useful. If you bring the cat to your office, she will play with a ball of yarn and purr when you pet her. There are various and sundry items you can find as you play the game that the cat will appreciate, so do bring them back for her. 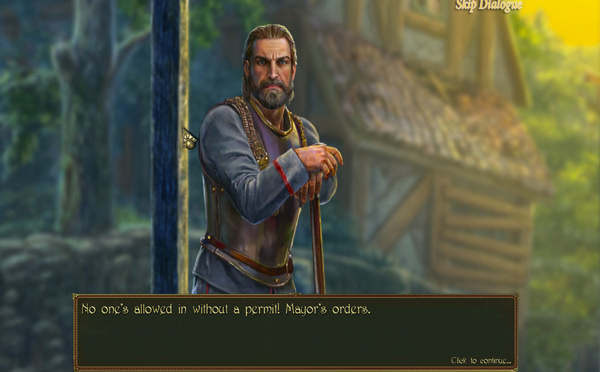 While you have been summoned to this town to solve a series of murders, upon arrival, you discover that there is much unrest among the villagers. They believe that their mayor is corrupt and the man in the red mask is the hero. And now, it's up to you to decide which side justice stands on. The scenery and circumstances in Dark Tales: Edgar Allan Poe's The Masque of the Red Death really did a nice job in transporting you to the 19th century, however, I was jarringly pulled back to the present at times when I was confronted with modern language in the dialog. "Muckety-mucks?" Really? I didn't realize "muckety-mucks" was an old French expression, but I guess you do learn something new every day. I know it's a little thing, but sometimes it's the details that truly make or break a game. Anyhow, back to solving the mystery... as you play Dark Tales: Edgar Allan Poe's The Masque of the Red Death, you will uncover different, extremely important clues. Anytime you wish, you may visit the scales of justice. 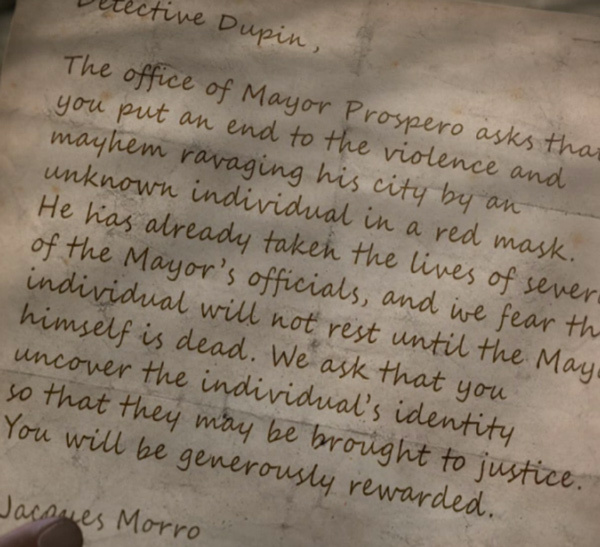 On one side of the scales is the mayor, and on the other side is the murderer wearing his red mask. Certain clues that you discover will appear on this screen as metal weights. You may place the weights on the scales to ascertain the degree of guilt for which either party is responsible. It certainly adds to the fun and helps the player solve the mystery. 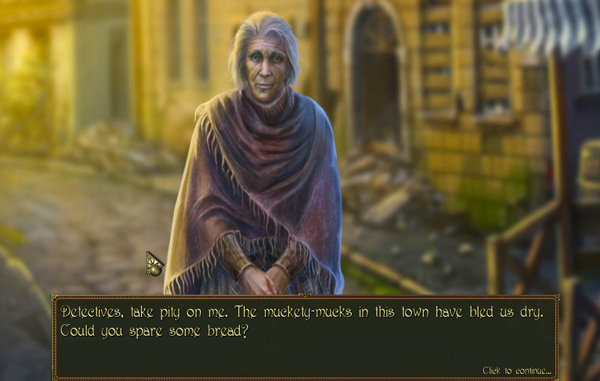 Overall, Dark Tales: Edgar Allan Poe's The Masque of the Red Death was an exciting hidden object adventure game that deserves a moment of your time... even if you're a muckety-muck, stuck in the 19th century.